Cats can be prolific breeders resulting in an over population of homeless stray cats. They not only carry diseases but become a nuisance to society. If cat neutering is ignored the problems of a male cat can soon prove to be intolerable because of it marking its territory with urine, getting into catfights and also noisily roaming in search of a female. Therefore a regular program of cat spaying and cat neutering is very essential in the prevention of diseases and for reducing the number of cats that are left uncared for. What Does It Mean By Feline Spaying? Feline spaying is a sterilization process to control the over breeding of cats. It means that the stray cat population can be effectively reduced by an organized routine program of cat spaying and cat neutering. Feline spaying also helps to keep down the spread of diseases as there will be a lesser number of cats. How Is Cat Neutering Done? The procedure carried out for Feline Spaying involves the removal of female reproductory organs. A spayed feline’s behavioral pattern that had to do with the heat cycle, changes and it becomes a much more tolerant cat that is no longer restless. 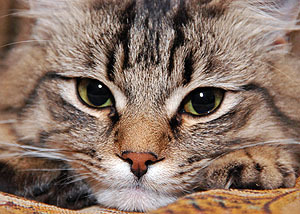 When Feline Spaying Is Considered Unnecessary And What Is The Right Time For Sterilization? Cat breeders don’t have to carry out feline spaying as spaying will not allow a cat to breed, therefore it is considered unnecessary. It also applies to individual owners of cats who won’t mind their cats giving birth to young provided they are able to look after the extended family of cats and give them the attention they will need. A cat needs to be sterilized before it enters the stage of reproduction. Feline spaying is also known to reduce risk of mammary cancer. 4 months even if he is a total house cat?